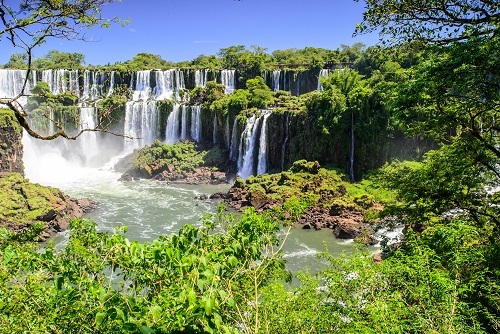 South America is an endlessly interesting and diverse continent filled with thriving cultures and stunning nature. At any given point, you might expect to find meandering Amazon waters, misty and jagged peaks near Machu Picchu, or the thundering roar of the Iguacu waterfalls. And still, there are famed vineyards, dazzling surf beaches, red rock canyons, wild glacial fields, and untouched islands. In short, if there was ever a cure for the travel bug, it might be in the primitive and unmatchable beauty of the South American landscape. Still, half the fun is in mingling with the exceptional people that live here, so it’s best to not venture too far from the city and town centers. 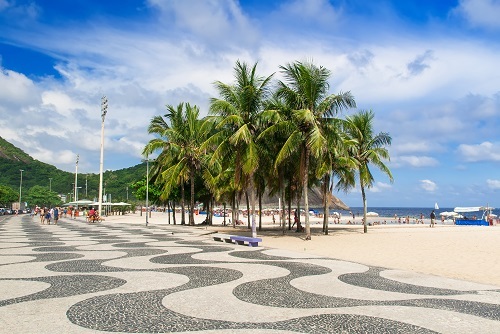 Take a steamy tango lesson in Buenos Aires or enjoy the sprawling paradise at Copacabana Beach in Rio de Janeiro. As a hub for Carnival, the non-stop celebrations are impossible to ignore, but you wouldn’t want to anyway. It’s exactly this passionate and contagious spirit that makes a trip to South America worthwhile.